This week on Coffee With America, hosts Sasha Rionda and Ebony Steele help you throw the perfect Summer Party! Lifestyle Expert and Author Robyn Moreno shares her tips to create a “Posh Party” your guests will rave about! Plus, create a healthy summer eating plan with the help of Registered Dietitian Liz Weiss. And, when you want to splurge–that’s okay, too! The Lovely Candy Company has some great candies that are consciously crafted with no artificial ingredients! Stay on top of the latest Summer Style Trends with Lifestyle Expert Kate De Ponte and Roux Fanci-Full Instant Hair color Rinse. And, Tech Expert Jennifer Jolly joins us with the hottest tech for the “coolest” summer! Summer and baseball go hand-in-hand. Nathan’s Famous shows you how it’s teaming up with MLB for all-star weekend and some major-league professional eaters, including hot-dog eating champion Joey Chestnut! And, if you love Marvel Comics, you’re going to love Marvel Universe Live! The live, action-packed performance brings more than 25 Marvel icons together for an epic battle that immerses fans completely into the Marvel Universe with non-stop stunt action and movie-style thrills. And last, but certainly not least– we say “See ya’ later” this week to the one and only Ebony Steele. Yes, it’s her last show here on Coffee With America. Ebony shares her sentiments on being with the show from the very beginning. 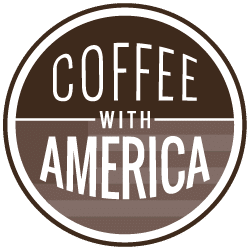 Check it all out, right now, on Coffee With America.